Larry Pratt, Executive Director of Gun Owners of America and Colin Goddard, a Virginia Tech shooting survivor and Senior Policy Advocate for Mayors Against Illegal Guns, join hosts Newt Gingrich and Stephanie Cutter tonight at 6:30pm ET to debate guns in the aftermath of the Navy Yard shooting. Next on Crossfire: @NewtGingrich & @StefCutter pay tribute to the victims of the #NavyYard tragedy. switzerland requires all adults over 15 to own and know how to use guns and they have no gun crime. Twelve people were killed in a mass shooting at the Washington Navy Yard on September 16. Additional details will be added as they become available. Why is it that the political party that wants to make the matter one of mental illness alone is also the faction that wants healthcare to be as hard to obtain as possible? 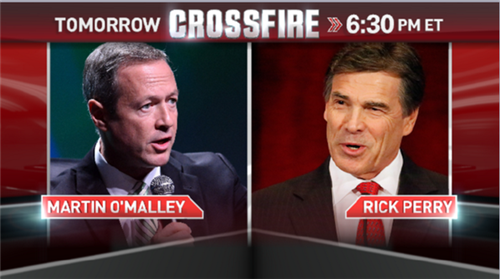 Thanks to everyone for participating in the Crossfire debate #CrossfireReturns . I think the reason you get such a visceral resistance from the pro-gun crowd is that many of them don't trust the government and perhaps with good reason. They feel that the government holds all the coercive cards. We need balance. The federal government should only be able to federalize the National Guard with state permission. That way the states retain a credible deterrent against federal overreach. With gun violence in the U.S. guns are really not the issue the true issue is the violence. We are not going to save people with laws that make it harder for law abiding citizens to purchase guns. Also a larger problem of people with mental health issues going unchecked.